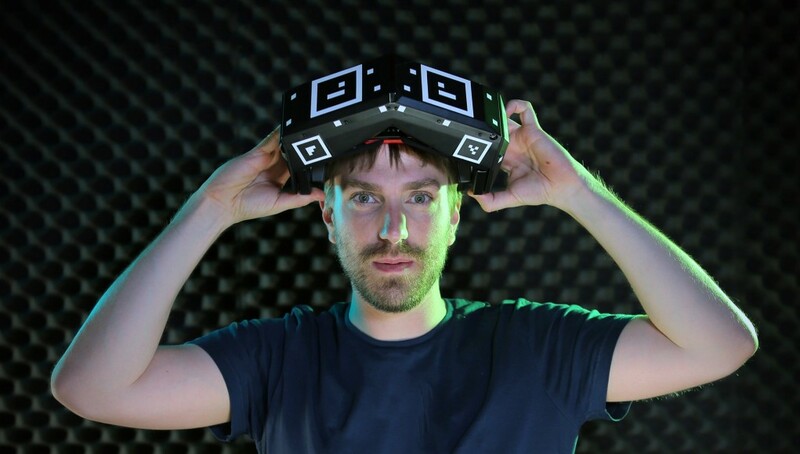 Game developer Starbreeze has announced a new partnership with consumer electronics firm Acer to further the development of its high FOV, high resolution VR headset, StarVR. 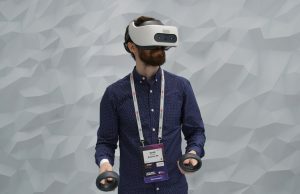 Starbreeze made a sizeable splash at E3 last summer when the unveiled StarVR, their 210 degree, high resolution VR headset born from project InfinitEye. 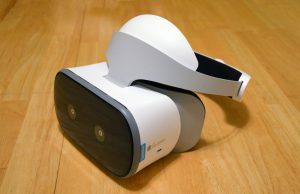 Coupled with a dedicated VR experience based on their Walking Dead franchise, the headset received quite a bit of attention. Since then however, things have gone a little quiet. 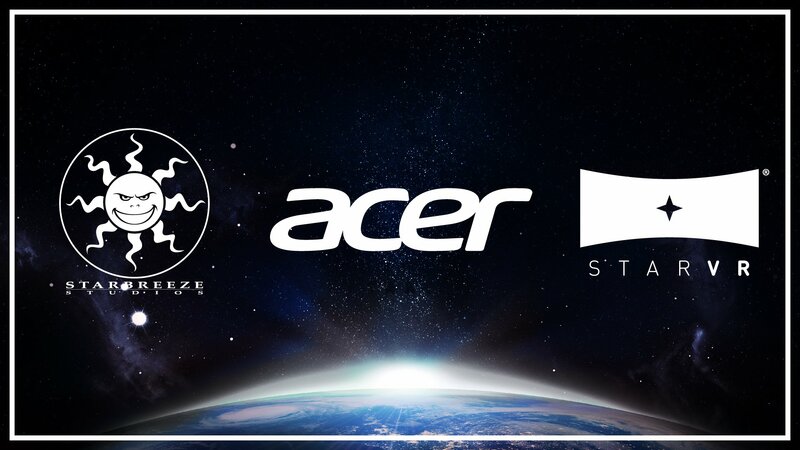 A new release from the company today announces a partnership between Acer, one of the world’s largest computer manufacturers, and Starbreeze to “cooperate on the design, manufacturing, promotion, marketing and sales of the StarVR HMD to the professional- and location-based entertainment market.” From the outside, the partnership sounds similar to the cooperation between HTC and Valve on the recently launched Vive headset. 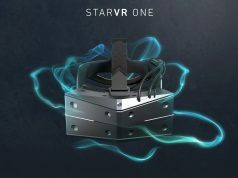 As noted in the release, the companies are positioning the StarVR headset as an enterprise focused device rather than a competitor to consumer VR headsets like the Rift and Vive. 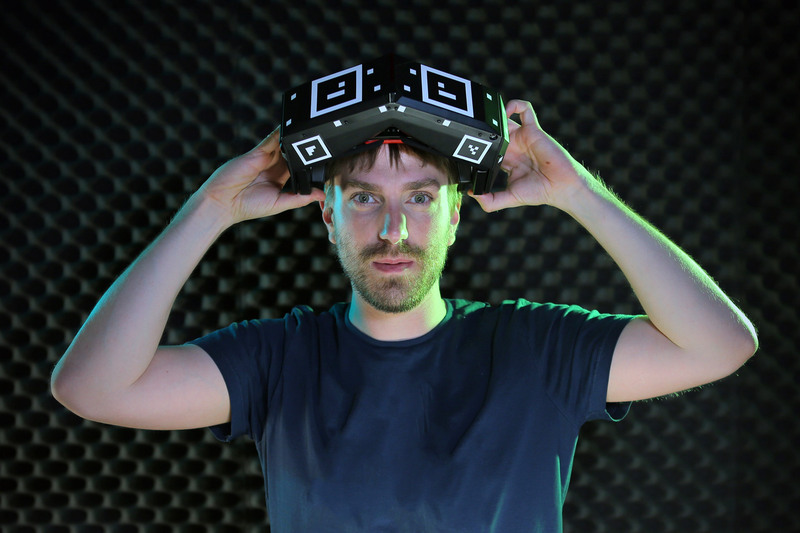 Such positioning will likely entail a premium price point for the headset, likely in excess of $1,000. With the likely premium pricing comes an unmatched field of view and resolution. 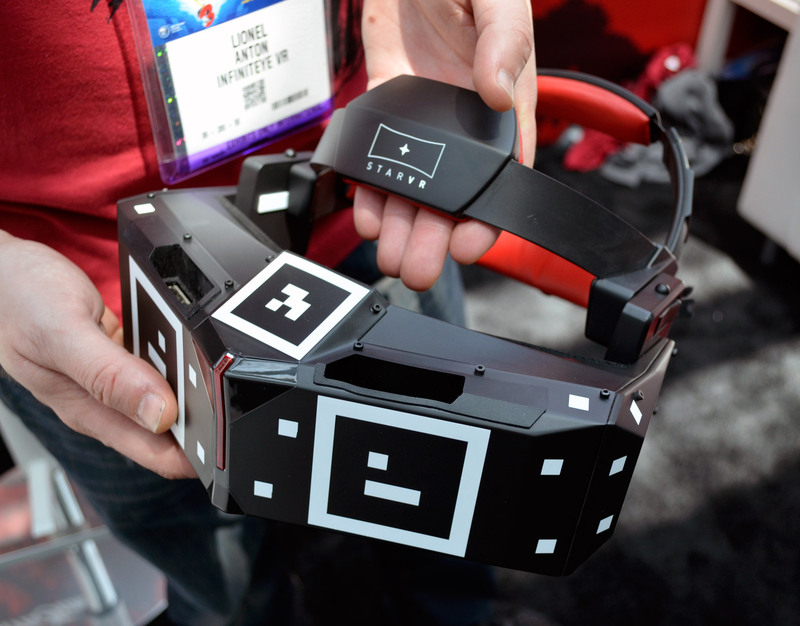 StarVR uses two full-size 5.5-inch displays, pushing the resolution to 5120×1440 and the field of view to 210 degrees horizontally. Of course, the on-paper specs rarely tell the whole story when it comes to VR headsets; in our hands-on with StarVR back at E3 2015 we appreciated the massive field of view, but with it comes complex optical challenges which make it difficult to achieve a clear and undistorted view, not to mention hurdles in weight and bulk. 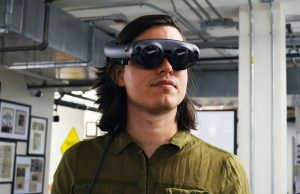 Still, the company’s first pass seemed surprisingly mature—no doubt thanks to the experience brought by the InfinitEye team—and the Acer partnership will hopefully help Starbreeze leap the remaining hurdles to market-readiness. This needs eye tracking and foveated rendering. That would likely reduce the GPU requirements quite a bit. 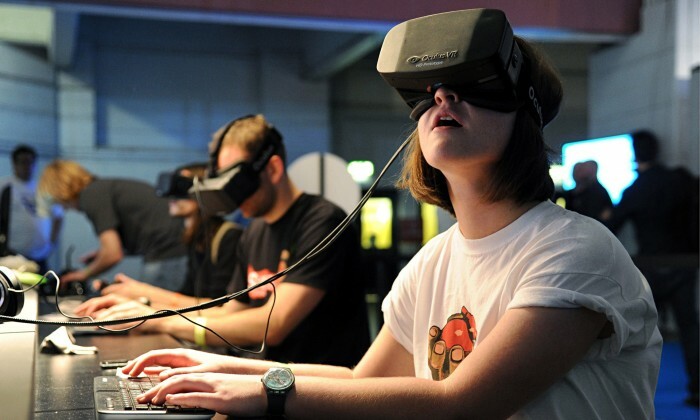 I dont know why someone doesn’t put out a DLP based HMD like the Glyph but geared for VR instead of watching videos. Seems like that would significantly reduce size and weight. Wow.. That’s awesome! 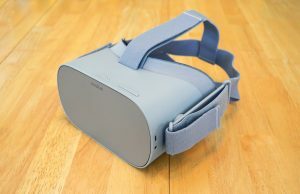 Now they just need a tracking solution that’s on par with Lighthouse and they’ll have THE best HMD around! If Acer acquired sixense it would solve a lot of problems. If they could license Lighthouse they’d be better. Isn’t sixsense a step backwards from Lighthouse as far as drift, accuracy, latency, etc? And that, of course. I´ve read somewhere that not having foceated rendering actually does cause more nausea than having it. The $600 1080 gtx is more powerful than two 980’s in SLI. I think we are getting there. May be another 2-3 years. Plus software improvements in rendering. 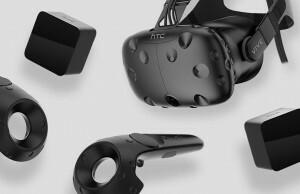 Would you buy the HTC Vive? The hell no! I ordered a rift that’s coming in 2 weeks but my son in law got his Vive delivered this past Friday. 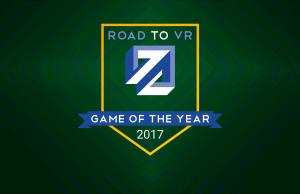 I spent close to 10 hours giving the Vive a good test drive. The only positive feature is the room scale, it’s good and fun. The rest for me is negative. This headset is humungus, heavy like a brick and cumbersome. After innumerable fittings could not get it to feel comfortable. Not to mention the weight of the cord. Could not get the IPD right because moving the button from left to right all the way around could not see anything happening. In no time the headset slides down no matter how tight you set it. It rests heavily on your nose and distorts the image. I had to keep pushing it up. Something I noticed right away is that you see a ring of light emanating from the rings of the fresnel lenses which is very distracting. I’m surprised nobody has mentioned this at all. There are so many fanboys out there that are covering the sky with the palm of the hand and they are not reporting the things I’m mentioning. 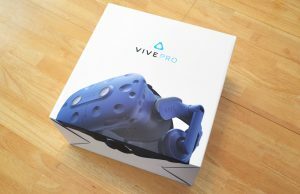 I’m not biased at all, I had all the intensions to order a Vive too but not after I experienced it. Another negative report is the screen door effect. I found it to be just a little better than the DK2 which I own. I was very dissapointed. I have read posts that the screen door effect on the Vive was almost non existense. Are these people out of their minds? And this one tops all; the Vive is more comfortable than the Rift. 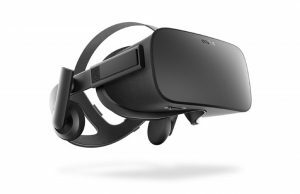 I have not tried the Rift yet but besides comfort I’m expecting some of these issues as well. Don’t expect too much from this first gen which is understandable. The Vibe experience software wise is remarkable. I’m going to spare you with finding room for room scale. You asked, I posted. True, I had a VIVE (was pre-ordered and got it soon after release), roomscale IS cool, but still limited, but the tracking was awesome. Rift now just about covers it with 3 sensors and touch. 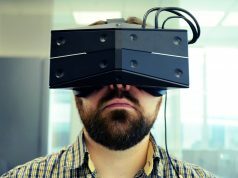 BUT I agree – I was a VIVE fanboy right up till I sold it, it wasn’t nice to use, even vs my old DK2, it was way to heavy, bad strapping, bad thick cable on top of head was awful, the fresnel ring artifacts were abhorrent and made it feel like your eyes were watering, it dragged your face down, I imagine years of use of that system would give you deputy dawg eyes – not a good look – and generally it came off like a very clunky dev kit with some killer features but not ready for prime time. RIFT CV1 has issues too, pinches the fact, has god rays (though not the same type and I guess LESS annoying overall) and slightly lower FOV. 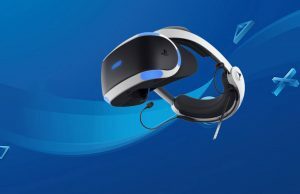 PSVR I’ve now owned (and sold already) but I think it’s a really great HMD, great comfort, easy fitting, brilliant lenses (no god rays) but of course the resolution isn’t there, it may do better on PC if they allow it (or PS4 PRO but jury is out on that). Still the tracking isn’t great either and overall GEN 1 has been a bust for me. Not one of them has delivered on the promise my DK2 gave me (Jet black blacks, no god rays) I’d have liked DK2 but in an upspecced version, instead we got 2 steps forward and 3 back. Here’s looking at you GEN 2. Don’t let me down! Pascal is bringing 2x performance of a Titan X, we can run this Star HMD with this gen of GPUs. 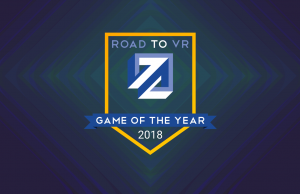 seems like healthy VR competition is starting. How companies make one by now? can’t use 2 curved display? I guess the problem is designing an optical system for curved screens. I’m sure they could make it happen. Either tweaking the morphed image sent to the screen or the manufacture of the lens should do it. At this stage that might be a lot of R&D to go through to just to shave down the form factor a little though, unless there’s another advantage to a curved screen I’m missing. Could add a couple of extra degrees to the FOV? Either way it would be something wise for them to place on their roadmap. It would look less like someone tried to turn their face into a spear. Fresnel lens have to go. If I want to see god rays everyday I’ll get cataracts. Long time ago – in VR time -, I saw Palmer saying that solution would need very complicated lenses (more complicated than with 2 flat displays, we can guess). I’ve been following this since it was owned by some smart young Frenchmen. They were bought out under a tight NDA and it went dark. Glad to hear it’s finally coming to light but I am somewhat disappointed that this isn’t more consumer focused. I’d be curious about what content is available or what it can be used with. As an enthusiast I’ll either buy or wait for the hype and prices to drop. 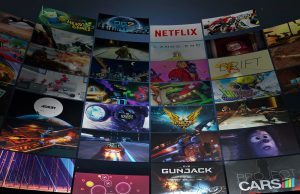 It might be smart to not go up against FB and Steam and wait to see how it shakes out. 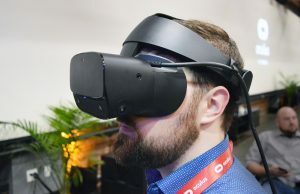 One would also assume that R&D for the startVr HMD would continue as well improving subsequent versions. I just hope they don’t keep this proriortary to their own content since they are also a development shop. That would be a mistake IMO. 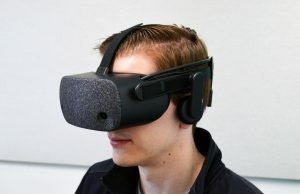 This isn’t a consumer gaming HMD. I was thinking of the same thing, a curve AMOLED screen equal distanced from the eyes, but then someone mentioned the difficulty of making lenses to fit curve screens. Aaaaaand I guess that was the big Acer news teased before MWC. Cool stuff. A giant partner for Starbreeze. I can only imagine(hope?) they’re being coy with positioning this as an “enterprise focused device” and it’s not too much of a runaround to get existing content up and running. Maybe The Void will snap some up. Also, Acer says they’ve already released *notebooks* that can drive this thing? Crazy talk. A lot of people that got the Vive no doubt have resigned themselves with these issues. 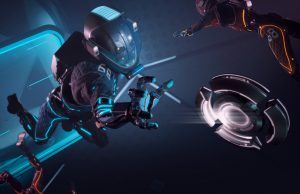 The experience is worth it and the Vive delivers hands down. The problem is wearing it. The lenses compared to the Rift have concentric circles that are too visible and light streaks are visible also. On top of the screen door effect. Very distracting. On the other hand I have read that the Rift lenses are smooth like the DK2 and the screen door effect is less noticeable. Like I said, I have not received the Rift yet so I will find out for myself If this is correct. If you can live with these issues by all means you will get accustomed and the overall experience will be worth the sacrifice. 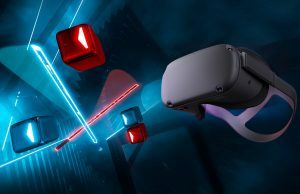 The Vive shines with room scale but prepare yourself to find a place in your house to be able to use this feature. I don’t have such luxury so I had to set it up for standing room only. Results, I could not play room scale games at all because bed and furniture was in the way to extend the controllers to pick up or activate functions. Take this into consideration if you like me don’t have the real estate. So what good is to have such capability. If there was not a second option I will definitively buy the Vive and wait for gen 2 improvements.